Does the Canadian government have the right controls to test what's really in medically prescribed cannabis? When the pain of Dawn Rae Downton's inflammatory arthritis kept her up at night, her pain specialist suggested she try medical marijuana. But for Downton, the cure ended up being worse than the disease. Though the marijuana did help her sleep, she also soon developed severe nausea. "I lost nearly all of 2016 to constant nausea around the clock, and a constant vomiting, or retching is probably a better way of putting it, since I had nothing in my stomach and by that time had lost a lot of weight," Downton tells The Current's Anna Maria Tremonti. "I was just that sick. I was helpless on the couch." It took eight months for Downton to figure out the link between the nausea and the marijuana. Cannabis can cause a condition known as cannabinoid hyperemesis, but the specialist treating Downton didn't think this diagnosis fit her profile. 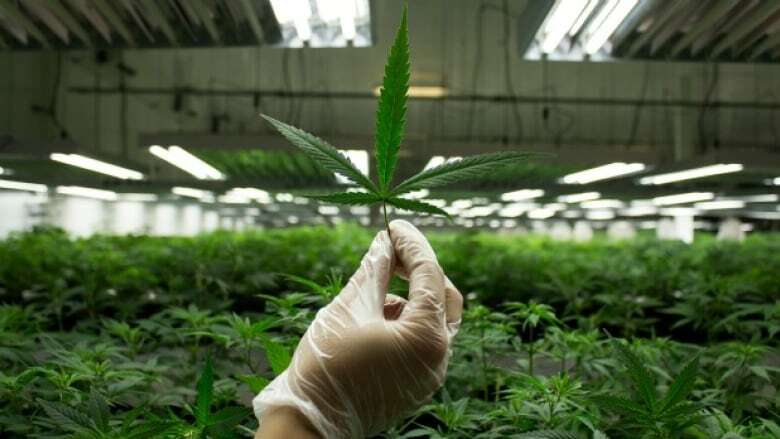 Then it turned out the medical marijuana Downton had been using, from a Moncton-based producer called Organigram, was subject to a recall, because it was found to contain prohibited pesticides. Downton is part of a class action lawsuit against the marijuana company. But she also says she doesn't believe Health Canada's standards for marijuana are stringent enough to protect consumers. "So far as Health Canada is concerned, I don't think it has a clue about what's going on," says Downton. "As far as product goes that you can buy on the street, it's probably at least as safe as a licensed producer now." Health Canada released new proposed regulations last month that are designed to keep cannabis consumers safe. August 2014: Whistler Medical Marijuana Corporation in B.C. voluntarily recalls a batch of its product. Health Canada's tests reveal mould in the organically-grown cannabis. December 2016: Organigram Incorporated in Moncton, N.B. announces a voluntary recall of five lots of medicinal marijuana. The batches test positive for two prohibited pesticides. January 2017: Organigram issues another recall — this time on 69 lots of medicinal marijuana, again with two banned pesticides. August 2017: Broken Coast Cannabis Ltd. in Ladysmith, B.C. issues its own voluntary recall after tests find two banned pesticides. But there have been multiple recalls from licensed producers over the last few years, for pesticides and mould. "We're talking about medical cannabis here and so these are essentially pharmaceutical products and they are being provided to patients who are, for one reason or another, ill and often would be immunocompromised," says Maddy Carter, a lawyer with the Halifax law firm Wagners, which is working on the Organigram class-action lawsuit. "So, it is of great concern when clients of licensed producers find out that there are these unauthorized pesticides in products they are consuming," she says. Dan Clarke is the executive vice-president of business development at A&L Laboratories, which is licensed by Health Canada to do testing for licensed cannabis producers. He says the testing has not been perfected yet, but believes it will improve as the product becomes legal, and as technology improves. But Clarke argues third-party testing by companies such as his should be expanded — currently it's required only for pesticides, but not other potential contaminants. "I think that we shouldn't be singling out just pesticides," Clarke tells Tremonti. "I believe that when we start looking at the aquatoxins and microbiology, they can pose as much risk to the individual when they consume them." Rosy Mondin is executive director of the Cannabis Trade Alliance of Canada. She says though pesticides in marijuana have made people sick, it's not a common occurrence. "The good news is there really is no epidemic of health problems, as more people than ever are actually consuming cannabis," Mondin tells Tremonti. "And there doesn't seem to be a higher risk of disease when taking it." 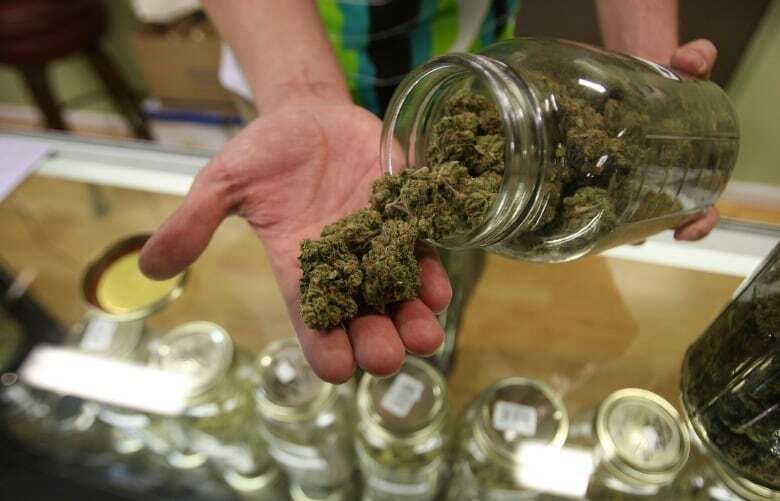 She cautions, however, that people with certain medical conditions should not smoke marijuana — she would like to see a general move away from smoking the product to other forms of ingesting it, such as edibles or vaporization. Mondin says that, so far, there is little data on what pesticides are safe to inhale — some of the pesticides in the marijuana recalls are deemed safe for use in food in Canada. She adds that more research needs to be done on what pesticides are safe in marijuana use. And she agrees that rigorous third-party testing is necessary to bring in the industry from its "wild west" past. "Since the recall, our team has worked diligently to implement new processes and procedures designed to prevent any future issue. These processes included rigorous testing of all of our product to ensure it is free of contamination. The results of this testing are also reviewed by Health Canada before any product is released for sale." This segment was produced by The Current's Ines Colabrese, John Chipman and Kori Sidaway.